On the face of it, it should be a time of celebration. You start a company, raise money, you get acquired. Happy ending. But Lookup’s acquisition by Nowfloats has had no such celebratory tones associated with it. There have been no congratulatory messages, and the media has carried no laudatory profiles of Deepak Ravindran, its youthful CEO. It’s for a reason – the background under which the acquisition took was grim. What he meant was Lookup couldn’t attract interest from its existing investors for follow-on rounds. An acquisition was the only way out. Things were very different last year. Lookup had raised around Rs. 40 crore within 18 months of its inception. And the money had come from no ordinary investors – people like Vinod Khosla and the Twitter cofounder Biz Stone had chipped in. It was the startup dream – a charismatic young founder who’d dropped out of college, investors with deep pockets, and a large market waiting to be disrupted. Lookup set about on its mission of getting local merchants online, but most of it press it got had little to do with the company. Ravindran made a big splash with his wedding which was spread across three continents. Bangalore saw lots of large billboards promotion Lookup. And the company managed to build one of the build one of the swankiest offices India had ever seen. Lookup’s office was spread across 5000 square feet and inspired by Google’s headquarters in Mountain View. There was wood flooring, soothing lighting, and post-modern furniture. Yesterday, it got acquired by NowFloats, a company whose office didn’t have an AC until last year. Jasminder Gulati is a mild mannered man who sounds more like a college professor than an CEO when he speaks. But he’s been pursuing his company’s mission of bringing small businesses online with missionary zeal. Late last year, NowFloats had launched its Digital Desh initiative that had taken its employees across the Indian hinterland visiting places like Ujjain, Bassi, and Mandola to better understand its customers. 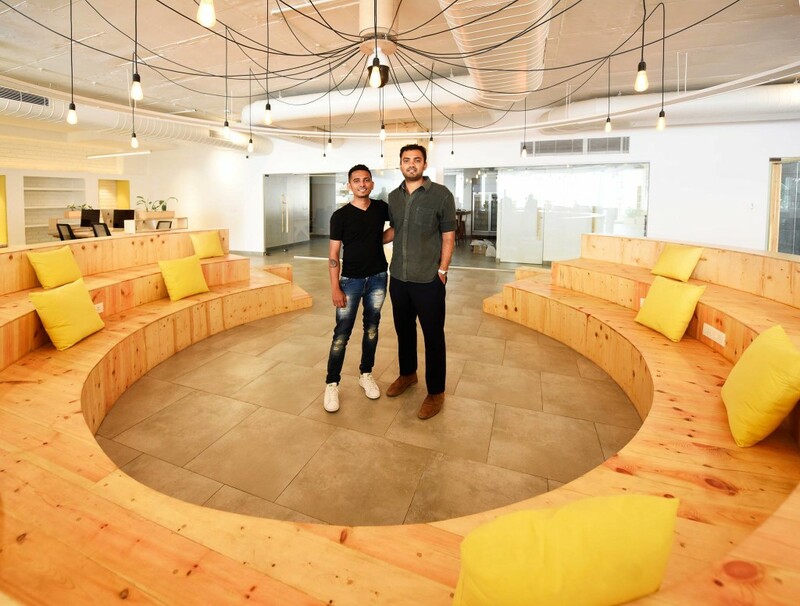 NowFloats now has multiple offices across India (with ACs), but none of them are inspired by Google’s headquarters. And therein perhaps lies the reason why Lookup had to go to NowFloats for an acquisition. When times were good and the money was flowing, some companies spent their money on offices. Others burrowed in and tried to build their business. And then the grasshopper came to the ant when times were tough. It’s a story as old as time, really.